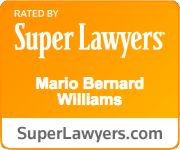 Today the Daily Report featured an article on Mr. Mario Williams’ oral argument before the Eleventh Circuit Court of Appeals. Mr. Williams represents Delma Jackson, a woman who was retaliated against by the Department of Corrections wardens and commissioners and given indefinite denial of visitation to her spouse as a result of her alleged involvement at a rally at the state Capitol concerning the prison strike held to protest prison abuse. The District Court held the defendants were not entitled to qualified immunity for denying Jackson visitation rights after her husband discontinued his hunger strike. The judge declared that at some point the threat of any strike-related disruption disappeared.